Background/Purpose: Exosomes have been recognized to have a function in cell-to-cell communication by transporting various factors including proteins and nucleic acids. These factors impact cell viability and cell differentiation, and are likely to play a prominent role in the pathophysiology of rheumatoid arthritis (RA); however, it is still not reveal that the roles of exosomes as inflammatory mediator in pathogenesis of RA. The purpose of this study is to investigate the role of T lymphocytes derived exosomes in the pathogenesis of RA. Methods: Exosomes were isolated and purified from cultured medium of T lymphocytes cell line (JK). RA synovial fibroblasts (RASFs) were cultured with exosomes derived from JK with or without IFN-gamma for 24hours. Total RNA was extracted using TRIZOL methods. The expression of RIG-I, TLR3, IL-6 and CXCL10 mRNA in RASFs was measured using real-time quantitative PCR. The protein levels of RIG-I and TLR3 were determined by immune blotting. Silencing of RIG-I and TLR3 in RASF was performed by transfection of siRNA against these proteins. Results: Treatment with PMA/Ionomycin increased the release of exosomes from JK. Large amount of RNA was detectable in exosomes derived from JK. Exosomes derived from JK increased the expression of IL-6 and CXCL10 mRNA in RASFs. When IFN-gamma is added to the culture medium of RASFs, increased expression of both RIG-I and TLR3 protein in RASF was observed in a dose dependent manner. IFN-gamma also induced the expression of CXCL10 mRNA, but not IL-6 mRNA, in RASF. Exosomes derived from JK significantly enhances the expression of CXCL10 mRNA, but not IL-6 mRNA, in RASF treated with IFN-gamma. Finally, silencing of RIG-I, but not TLR3, suppressed the expression of CXCL10 in RASF induced by co-stimulation of both exosomes and IFN-gamma. Conclusion: The present study demonstrates that exosomes derived from JK enhance IFN-gamma induced expression of CXCL10 in RASF via pattern recognition receptor, RIG-I. The interaction between exosomes derived from T-cells and RIG-I can be a therapeutic target for RA. Disclosure: K. Umekita, None; S. Miyauchi, None; K. Iwao, None; M. Rikitake, None; Y. Rikitake, None; C. Kawada, None; A. Aizawa, None; Y. Kariya, None; M. Matsuda, None; T. Kawaguchi, None; H. Nomura, None; I. Takajo, None; A. Okayama, None. Umekita K, Miyauchi S, Iwao K, Rikitake M, Rikitake Y, Kawada C, Aizawa A, Kariya Y, Matsuda M, Kawaguchi T, Nomura H, Takajo I, Okayama A. Exosomes Derived from T Lymphocytes Enhance Expression of CXCL10 Induced By IFN-γin Rheumatoid Arthritis Synovial Fibroblasts Via Pattern Recognition Receptor, RIG-I [abstract]. Arthritis Rheumatol. 2017; 69 (suppl 10). 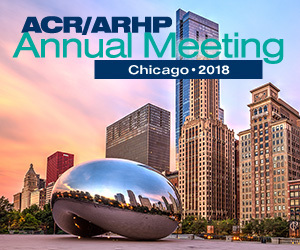 https://acrabstracts.org/abstract/exosomes-derived-from-t-lymphocytes-enhance-expression-of-cxcl10-induced-by-ifn-%ce%b3in-rheumatoid-arthritis-synovial-fibroblasts-via-pattern-recognition-receptor-rig-i/. Accessed April 23, 2019.